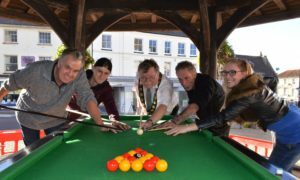 North Walsham mayor Barry Hester’s year of civic fundraising for the Friends has topped the £1500 mark. 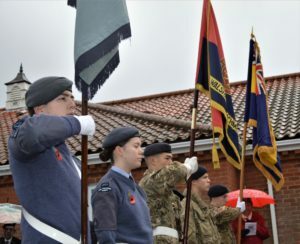 The sum was announced by Mr Hester at a civic dinner marking the centenaries of the First World War Armistice and the formation of the Royal Air Force. 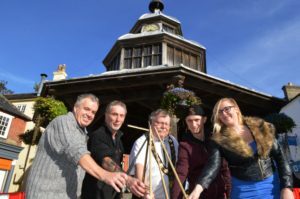 He praised the community spirit which existed in North Walsham thanks to people organising events ranging from fireworks to cinema on the park, manning a new visitor centre and Matt Smith and North Walsham Play raising £150,000 for two new play parks. 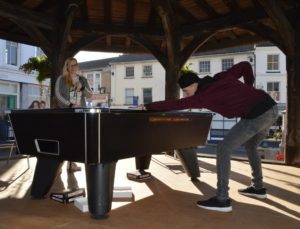 The £1500 – so far – for the Friends was reached after four and a half months, boosted by a recent pool marathon held under the town clock. 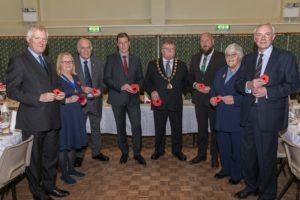 North Walsham mayor Barry Hester with guests before the civic Armistice dinner. 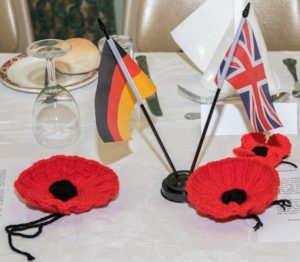 Picture by Greg Garfoot.The dinner, at the community centre, was attended by more than 90 people including councillors, representatives of North Walsham’s German twin town Friesenried, military charities and welfare organisations. Friends chairman Keith Jarvis, and committee members Zana Jarvis, secretary Angie Batson and press officer Richard Batson attended. The meal provided a taste of the Great War by using recipes from the time. 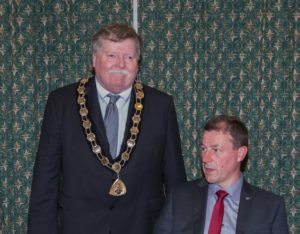 North Walsham mayor Barry Hester (left) and Friesenried Burgermeister Bernhard Huber. Picture: Greg Garfoot. The soldiers from both sides were “just normal people” involved in “useless fights” and regarded as worthless by the politicians. And he warned against the modern day rising tide of nationalism which “more and more people seem to think is the cure for all problems, adding: “We can all see where extreme nationalism leads to” in a world where hate seemed more powerful than love. 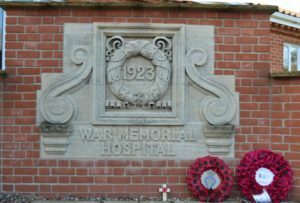 North Walsham War Memorial Hospital will be staging its usual wreath laying ceremony on November 11 – but at the earlier time of 9.30am. Timings are slightly different this year due to special events being held throughout the day marking the centenary of the ending of the First World War. Members of the public, hospital supporters and families of in-patients, are welcome to attend the ceremony outside the hospital. 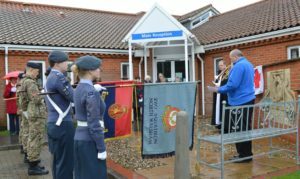 The 2017 Armistice Day event at North Walsham War Memorial Hospital. 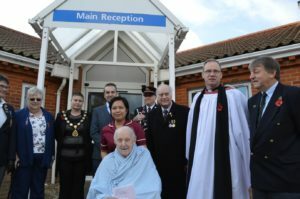 The hospital was opened in 1924 in honour of 99 men from the town , and another 80 from surrounding villages who gave their lives serving their country in the Great War. 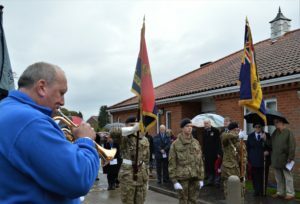 It will involve the vicar the Rev Paul Cubitt, the hospital Friends, a standard bearer from the Royal British Legion, trumpeter and members of the local army and air cadets. 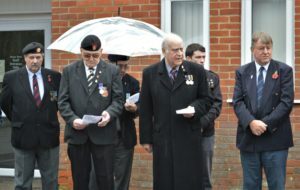 There is also a 10.30am service at the parish church, and a 2pm march from the Memorial Park to the church later in the day. 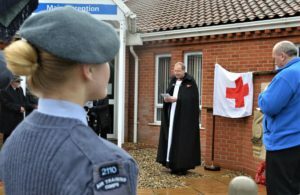 A day room at North Walsham War Memorial Hospital is set for a revamp thanks to funding from the hospital League of Friends. 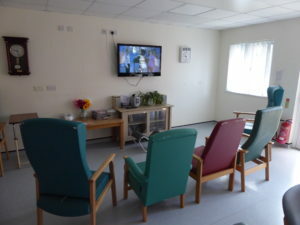 The existing day room at North Walsham War Memorial Hospital which is being upgraded thanks to funding from the Friends. Work is due to start soon on a project which includes new flooring and furniture, a woodland scene mural, redecoration, artwork and window blinds. 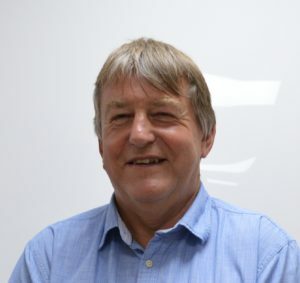 Friends chairman Keith Jarvis said: “The hospital was keen to freshen up the day room and make it a homely welcoming place where patients and their families can relax. It is hoped to include some archive pictures of the hospital and the area among the artwork which will be a good talking point. The Friends are also aiming to extend the project outdoors by replacing garden furniture in the patio area outside the room.